HOME AWAY FROM HOME BY THE LAKE!!! Views: Lake & Mountain Views!!! Dates Available: Call for Availability. Beautiful place to get away with family and friends!!! Come and vacation at this cozy cottage by the lake! 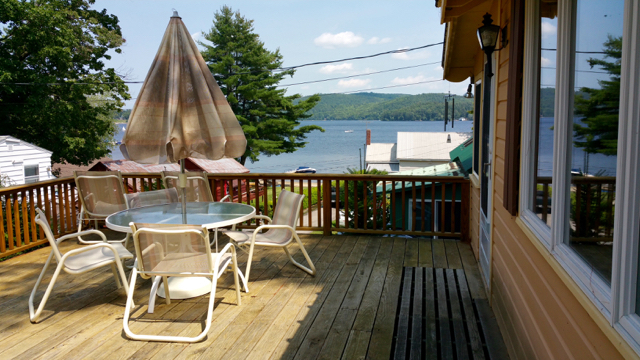 Relax in the spacious living room that overlooks Schroon Lake and the surrounding mountains. 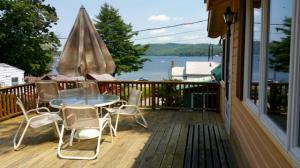 Or, sit out on the enclosed front porch or open porch and enjoy the gorgeous views in this peaceful setting. 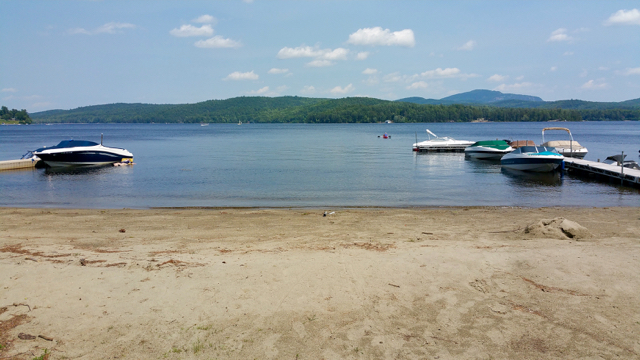 There are no roads to cross to get to the sandy beach provided on 125' of lakefront! The cottage has three bedrooms, one with a queen size bed, and two other bedrooms with 2 twin beds. 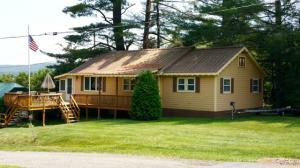 The cottage can accommodate 6-8 people. There are two full bathrooms. The kitchen is fully equipped with a new stainless steel refrigerator, stove, plus microwave, coffee maker and toaster. There are several televisions with basic cable provided. The home is located in the popular tourist town of Schroon Lake and is convenient to shops, grocery store, and, of course, all of the desirable area attractions! CALL TODAY TO BOOK YOUR VACATION IN THE ADIRONDACKS!! !